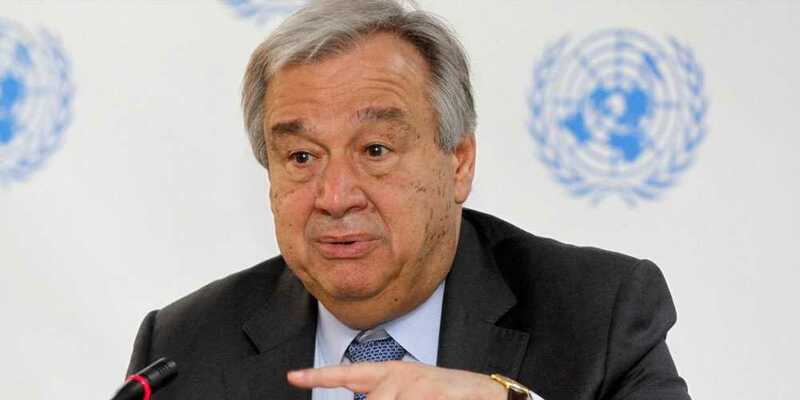 United Nations Secretary General Antonio Guterres has expressed the hope that Pakistan and India would be able to engage in a meaningful dialogue to resolve their disputes. Answering a question at a press conference , the UN chief said the world body has clearly done its job in that regard, alluding to UN report that calls for the establishment of a ‘commission of inquiry’ to investigate the grave human rights violations in Occupied Kashmir. The UN chief was responding to a question from Iftikhar Ali, a Pakistani journalist, who sought his comments on India's reluctance towards talks between the two countries despite the peace overtures made by Pakistan's Prime Minister Imran Khan. Guterres said that he has been offering his good offices in relation to the dialogue between the two countries.